Sure enough, when I arrived in the village of Ephraim (founded in 1853) and walked the long driveway to my room inside a white two-story wood-framed house, it felt a lot like New England — the woods behind me, Adirondack chairs and Eagle Harbor across the street. Wisconsin conjures up images of cheese and football, but I fell in love with Door County’s remarkable shipwreck history, Scandinavian influences and glorious outdoors. According to legend, some Ho-Chunk and Potawatomi tribes and French seafarers perished while crossing the treacherous currents between the peninsula and Washington Island, becoming a watery grave and thus earning the dark moniker of Porte des Mortes — “Door of the Dead.” But as tourism increased, the morbid D-word was dropped. Today, sunken schooners resting in peace at the bottom of the freshwater lake are an homage to Door County’s maritime legacy. 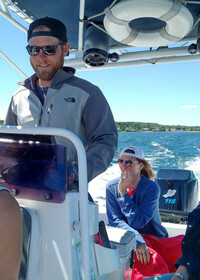 Matt Olson, proprietor of Door County Adventure Rafting, guided our group of four around Baileys Harbor in an inflatable rigid boat (like the ones the Navy Seals use) for an adventurous high-speed boat tour. It was equal parts thrill ride and educational tour as we took in lakeside views of the peninsula and pricey cottages, learned about a once-thriving fishing industry and cruised around tiny islands with working 19th-century lighthouses. Door County’s 11 lighthouses constitute the largest collection of guiding lights on the Great Lakes. After a high-gear adrenaline rush in open waters, Olson downshifted to motor around shoals to view wreckage that had worked its way to shallow banks. At the Door County Maritime Museum, these findings — shipwreck maps, artifacts and the area’s shipbuilding history — paint the story of maritime commerce around the Great Lakes that connects to the Atlantic Ocean by way of the Saint Lawrence Seaway. The museum also gives visitors a chance to explore every inch of the legendary Tug John Purves, built in 1919. 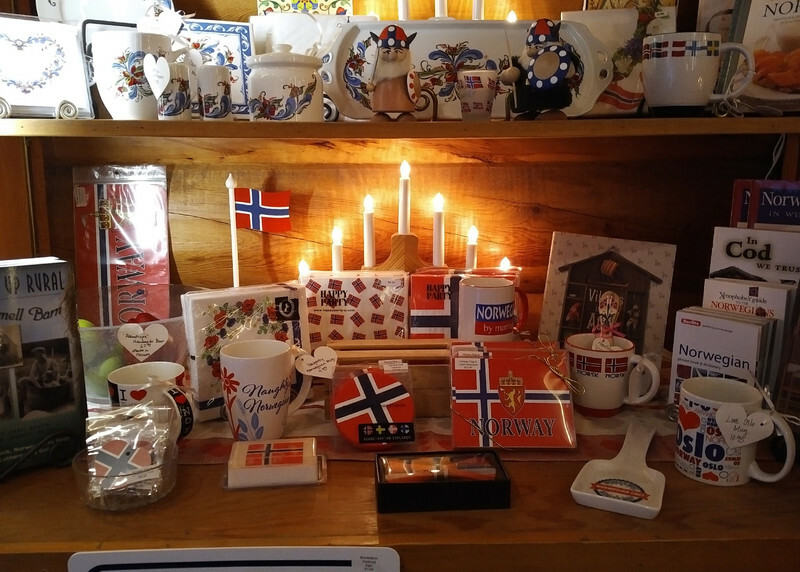 The peninsula’s earliest settlers from Sweden and Norway were also lured to the peninsula because its lush landscapes, rugged coastline, abundant fishing and logging were reminders of the homeland. That explains the Scandinavian traditions and cuisine around Door County — from “Midsommar” festival in June to outdoor fish boils on the lake at Rowley’s Bay waterfront resort, where whitefish and potatoes boil in a giant cauldron on an open fire — the original group meal that used to feed lumberjacks and fishermen. Architecture is no exception — like the authentic Norwegian log building housing Al Johnson’s Swedish Restaurant in Sister Bay. Made with Norwegian yellow pine, rosemaling (delicate floral painting) and a sod rooftop (look for grazing goats!). it was constructed in Norway, disassembled for transport, then rebuilt. The iconic log building, including a “butik” (Scandinavian gift shop) has become a beloved Door County attraction. I was delighted with the first bite of Swedish pancakes folded like linen napkins, fresh lingonberries and exquisite chunks of pickled herring. Door County’s Peninsula State Park is the crown jewel of the state park system with its 3,700 square acres jutting out into Green Bay. It’s a one-stop outdoor destination with hiking, bicycling, camping, a golf course, Eagle Bluff Lighthouse, famous Nicolet Bay Beach and the renowned open-air Northern Sky Theater. One day, I bicycled through the quiet forest. On another night, I returned to the depths of the forest and under a starry sky joined a full house for opening night of “Boxcar,” a heartwarming Wisconsin story of a boy and a vagabond. Another reminder of Door County’s extraordinary place on the planet is The Ridges Sanctuary, which was designated a National Natural Landmark in 1937. This sandy landscape of crescent-shaped ridges and boreal forest is home to the most biologically diverse ecosystem in Wisconsin. Rare and endangered insects and flora thrive here, including the Hine’s emerald dragonfly and indigenous orchids. Whitney’s stories captivated me, but then again, everything I discovered around Door County Peninsula was anything but ordinary. 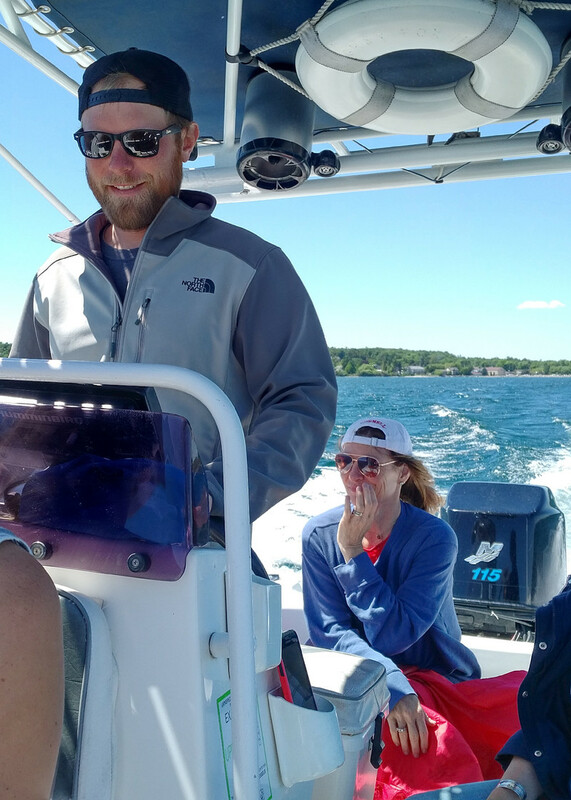 Matt Olson of Door County Adventure Rafting takes guests on exhilarating tours around Lake Michigan that include visits to shipwreck sites and historic lighthouses. Photo courtesy of Athena Lucero. 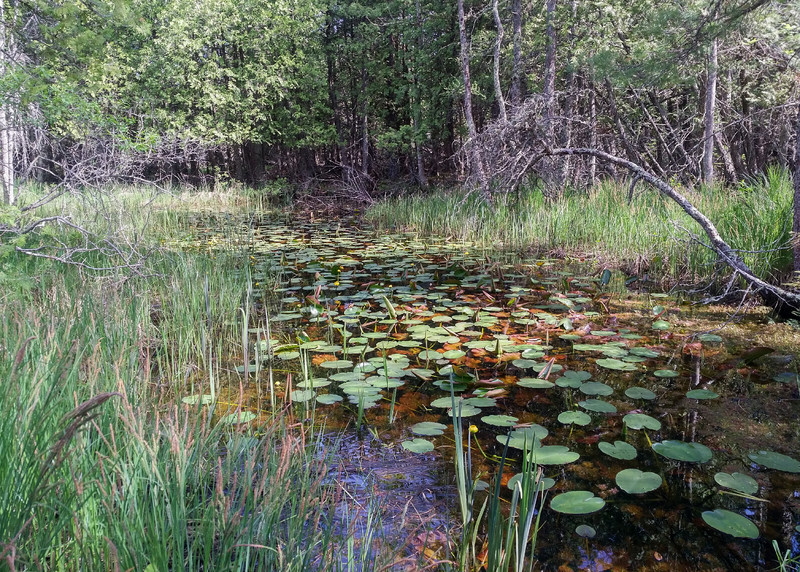 The Ridges Sanctuary in Door County is a rare boreal forest and home to the most biologically diverse ecosystem in Wisconsin. Photo courtesy of Athena Lucero.